There are some simple recipes that you come across at a party or a get-together and you begin to incorporate them into your family dessert rotation. This lemon fluff recipe is a recipe that my friend who actually became my girl’s Godmother introduced us to years ago. This recipe is super easy, light and fluffy and has such a delicious lemon taste. Lemon Fluff is a simple recipe to make and it only takes a few ingredients. First you must prepare the crust. The crust includes flour, butter and pecans. You can leave out the pecans and the crust will still be good or you can create your own graham cracker crust which might taste better. 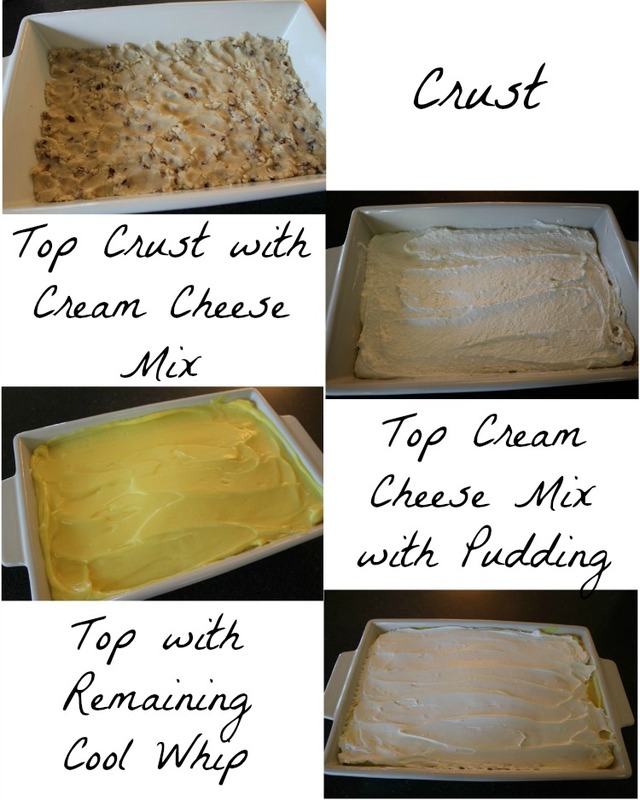 As your crust bakes, you will prepare the crust topping which includes sugar, Cool Whip and cream cheese. The Lemon topping is simply lemon flavored pudding. Make sure you do not use too much Cool Whip in your cream cheese mix because you will need the remaining for the topping. I had a lemon laying around so I added some zest to the top of the Lemon Fluff. Once everything is prepared, you will then simply layer everything. As I stated above, be careful not to use too much Cool Whip or if you love Cool Whip like I do you might want to consider buying two cartons of it. Blend together melted butter, flour and pecans. 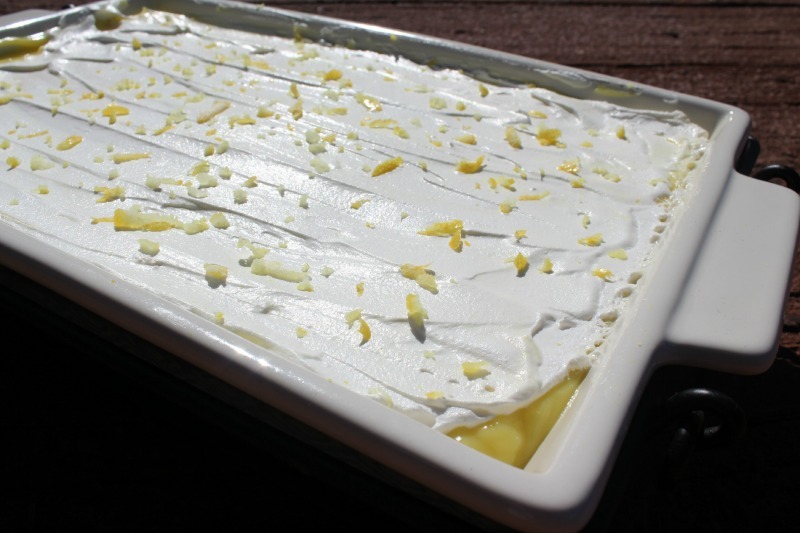 Lemon Fluff is one of those sweet treats that will have you coming back. 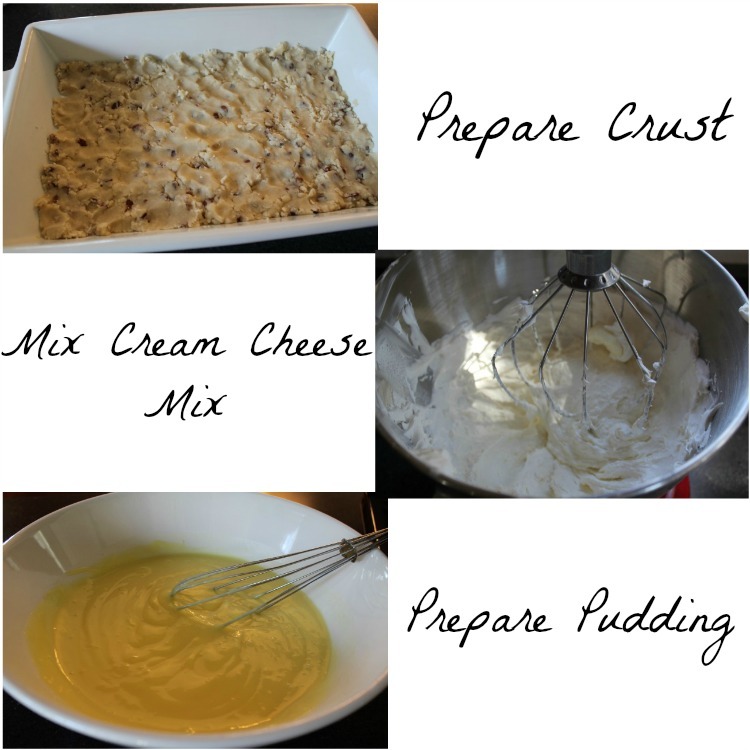 Have you ever stumbled upon or found a recipe at a party that you decided to incorporate into your family favorite desserts or meals? Lemon-anything is automatically my favorite. I can’t wait to try this recipe! I love everything lemon flavored! I think I just found something I will be making for Easter! This sounds so good! 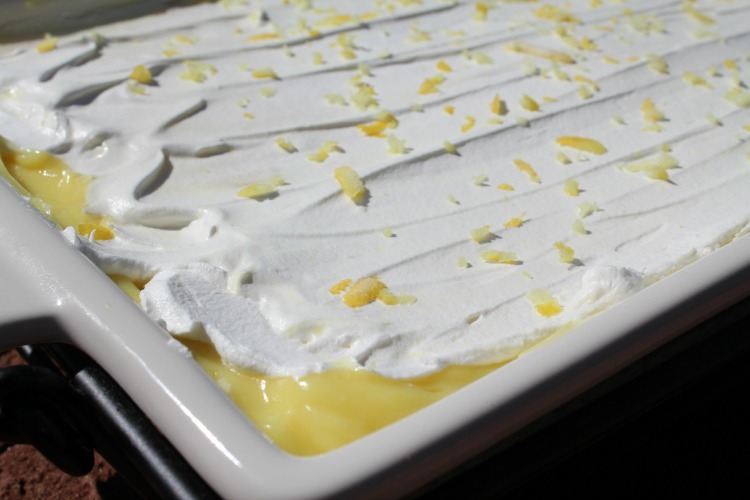 I love desserts that incorporate lemon, it is so refreshing and reminds me of spring. Ok, this would be a hit in my house for Easter. Thank you. I love tasty easy recipes, that I can actually re-create! OMG! This sounds and looks fantastic! I love lemon recipes when spring rolls around. Definitely going to give this one a try. You are right, this is the perfect type of recipe to throw together for a crowd. It sounds sooooo good! Thanks for sharing it with Hump Day Happenings. I love lemon desserts. I am going to definitely make this for my family as they love it as well. This looks wonderful! I have to try it thanks! My mother made a lemon fluff like this all the time when I was a kid. She makes a version with pistachio pudding too. So yum. This sounds so bright and yummy! Can’t wait to try making this myself. This looks so delicious! I think I might just try this . I think my kids and husband would love this. Looks very much yummy & delicious with those cheese & cream, that too in lemon flavor. I love that it is easy to do using few ingredients. Thanks for sharing the amazing recipe. I am definitely going to try this! I love recipes that are simple but still yummy! Plus it doesn’t seem like there would be clean up needed. This is a saver – or should say a savory recipe for me! The type I like – I can hardly wait to taste! This sounds so easy, and I love lemon flavor, so it’s perfect! You’re killing it with your easy recipes. 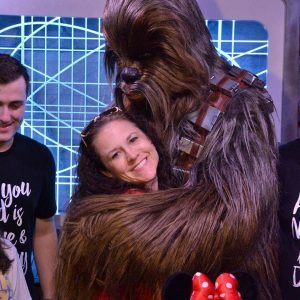 Being a mom of 4, I’m all about easy! My kids would probably love this! OMG! I love anything with lemons and I have to print out this recipe! Sounds delish! I love all things lemon and this recipe sounds perfect for a spring get together! Saving for later! I love desserts like this! Looks so good! Cream cheese and pudding! This sounds like a delicious and easy to make recipe that my family will love. This looks quite refreshing! Perfect for spring & summer, yum! This looks really good and will be a perfect springtime dessert. It would be lovely for Easter too. Yum, what a delicious treat! I’d love to have some of this yummy dessert! Yum this looks super yummy! I love lemon everything, so this is a must have! It looks so good, gah! This looks so yummy, what a beautiful and vibrant desert; I would love to make this for my family! This looks delicious! Perfect to bring in a taste of warmer weather. I’ve been craving summery foods to fight off the winter blues. I think I’ve made something like this before! Looks light and summery and delish!!! I adore lemons, which works out perfectly because here in Italy we have gorgeous lemons! I’m going to have to figure out how to make lemon pudding because this looks absolutely amazing and a perfect dish to take to a cookout. This sounds very very similar to a lemon meringue pie! Looks good though and I’m not even a big fan of lemon haha. I don’t know why but you’ve got me craving this now! I love all the tart recipes in the world. So lemon fluff is all for me! This looks and sounds so yummy. I need to make this for my son and his friends. This sounds and looks really yummy. I love almost anything with lemon! This looks amazing! Have to make this!! This looks really good…. 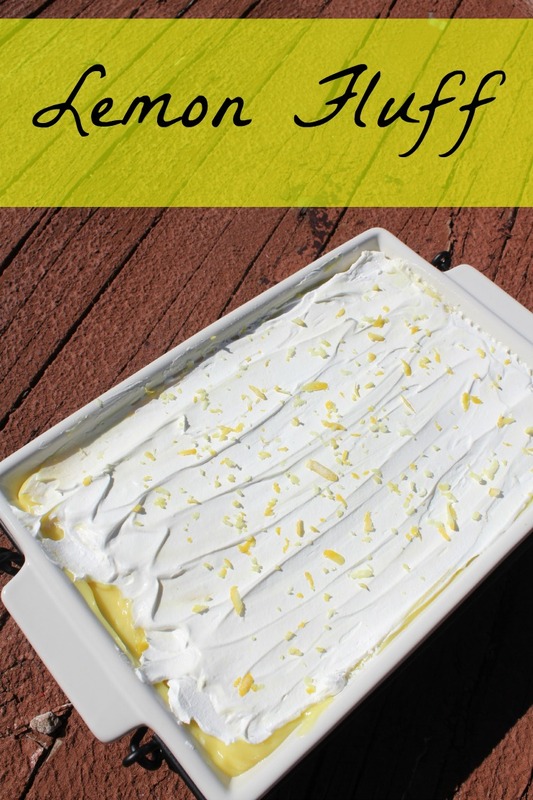 similar to another dessert I make, but I love the lemon idea… and will be trying it. 🙂 I will also be pinning and G+ this. This looks so easy to make! I like the idea of making a graham cracker crust to go with it, so I might try it that way! Looks awesome and so easy, too! I’ve never had lemon fluff before. This looks easy and delicious! I love pecans and with lemon is great twist! Just pinned this to try! I’m pinning this for when my lemon tree comes into fruit. YUMMMM! It looks fantastic.. Wish I could eat it, but… this looks like something I could make ahead when I know company is coming over.